Germany surrendered in May 1945. Soon afterward, the western allied powers and the Soviet Union started carving up Europe. Germany was split in two. The Iron Curtain was raised. The following November, the Nuremberg Trials began. The Nazis were made to answer for their crimes. There are many stories, both fact and fiction, of former Nazis fleeing Europe. However, some of them didn’t face execution or life in prison, and they didn’t escape to Argentina or any other hidden corner of the globe. Instead, they came to the United States. Why? They knew how to make rockets. They knew the secrets of nerve gas. They were scientists. In the race against Germany to develop atomic weaponry, the U.S. established Operation Alsos in 1943 as a branch of the Manhattan project. Its mission was to find or disrupt German military research, as well as keep it from falling into the hands of the Soviets. The Cold War was already starting. While the primary target was German nuclear research, the U.S. was hunting for any new military technology. 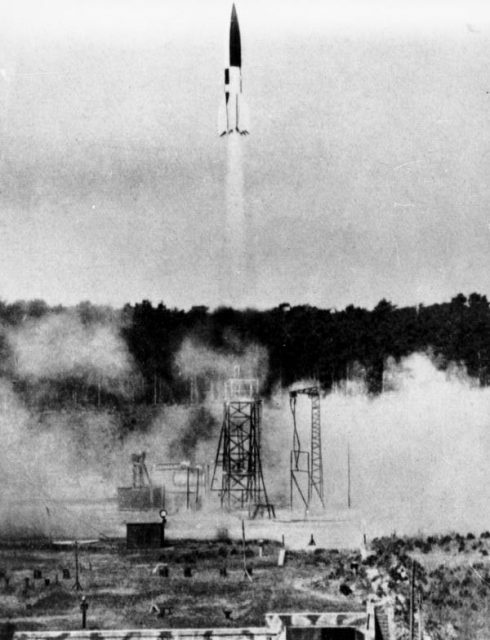 Among the most sought-after German inventions was the V-2 rocket, one of the deadliest weapons made by the Germans during World War II. Developed in the final year of the war, it was one of the first of its kind: a long-range guided missile. With this technology, the Germans were capable of striking targets up to 200 miles (almost 322 kilometers) from their launch sites with near impunity. London and Antwerp were the most frequent targets. The Germans launched nearly 3,000 rockets at those two cities, accounting for nearly all V-2 rockets launched. The Germans alone had this technology, and in addition to its destructive capabilities, it was also the first man-made object to reach space. This would prove a useful base to build upon in the coming space race. Wernher von Braun was the chief designer of the V-2, and he was at the top of the list of the U.S. military’s most-wanted German scientists. As the Allies closed in on Germany, von Braun and his team went into hiding in the Bavarian Alps in a small town primarily known as a ski resort. There they heard of Hitler’s death over the radio. Knowing they would be valuable to the allied powers, the scientists immediately turned themselves over to the American and French troops in the valleys below. 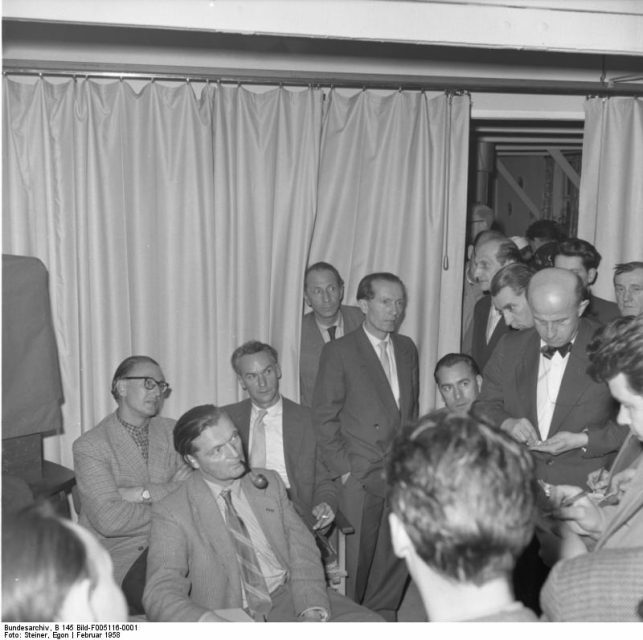 Wernher von Braun was taken for interrogation and, just a few months later, employment. The following September, the U.S. transported a number of V-2 rocket scientists, including Wernher von Braun, to Fort Strong, a military base on a small island in the Boston harbor. 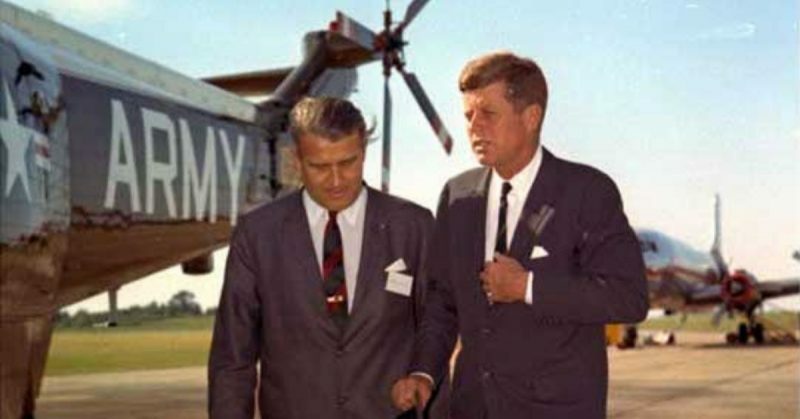 Von Braun spent the following years designing and building rockets for the U.S. military in Fort Bliss, an army base north of El Paso. He was later transferred to Huntsville, Alabama in 1950 at the start of the Korean War. 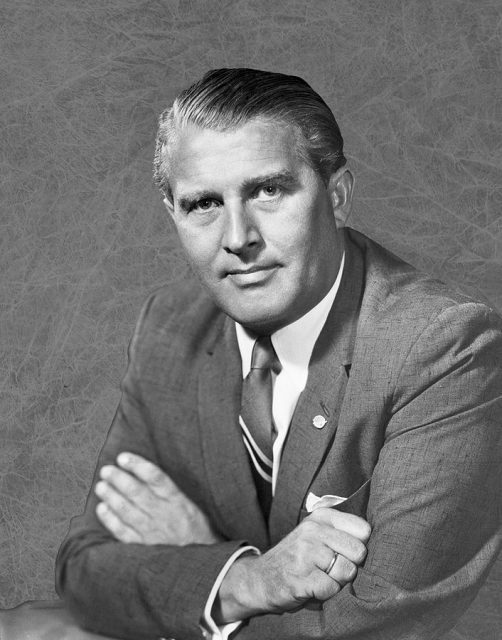 There, von Braun and his team developed the first nuclear-armed ballistic missile. In 1958, one year after the launch of the Soviet Sputnik satelite, NASA was established. 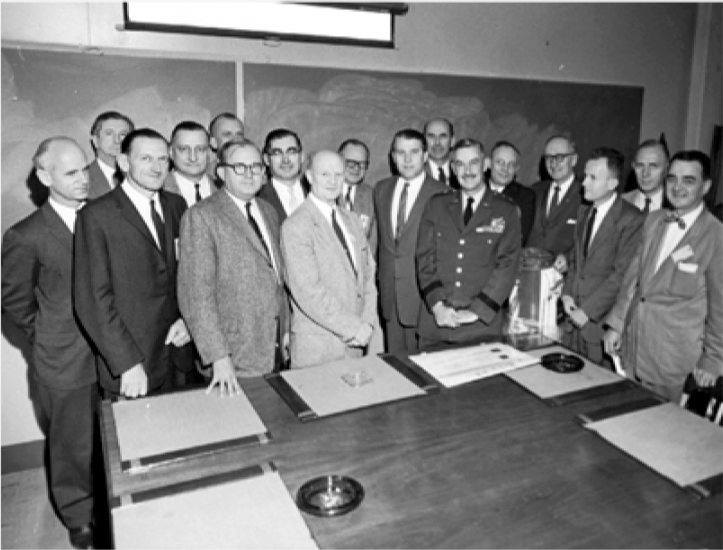 In 1960, the NASA Marshall Space Flight Center was established, and von Braun was recruited to serve as director until 1970. 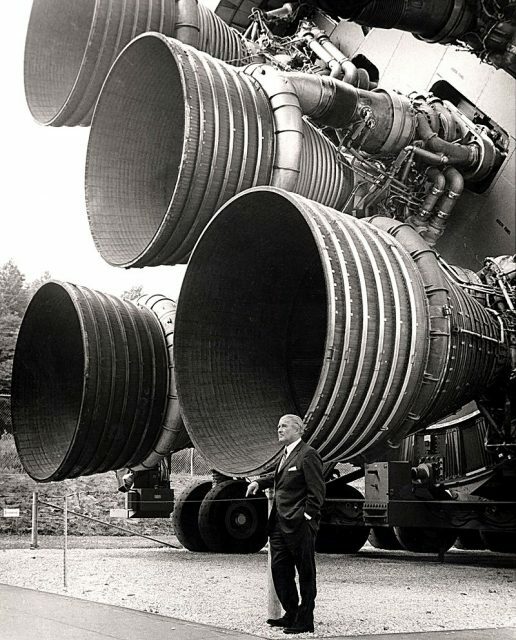 There he oversaw the development of the Saturn rocket program. 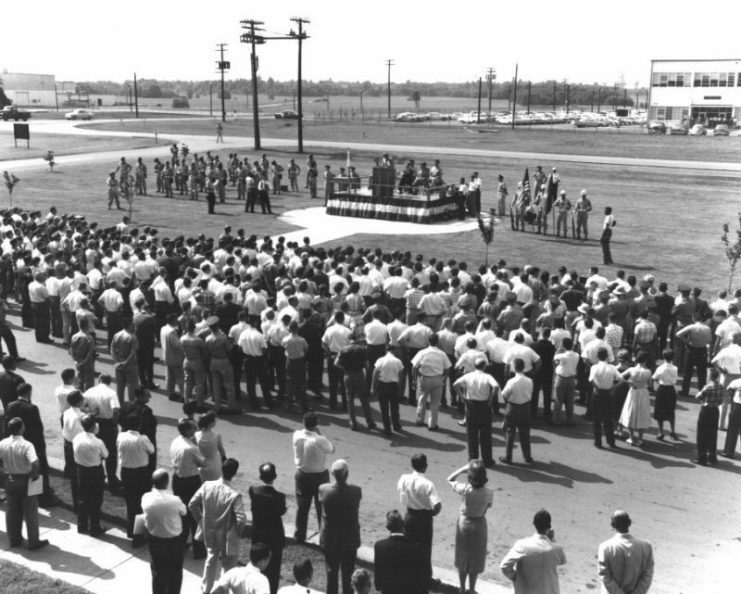 NASA Marshall Space Flight Center – Ceremony of transfer from Army to NASA July 1, 1960. In 1969, NASA used the Saturn V rocket to launch the Apollo 11 spacecraft. 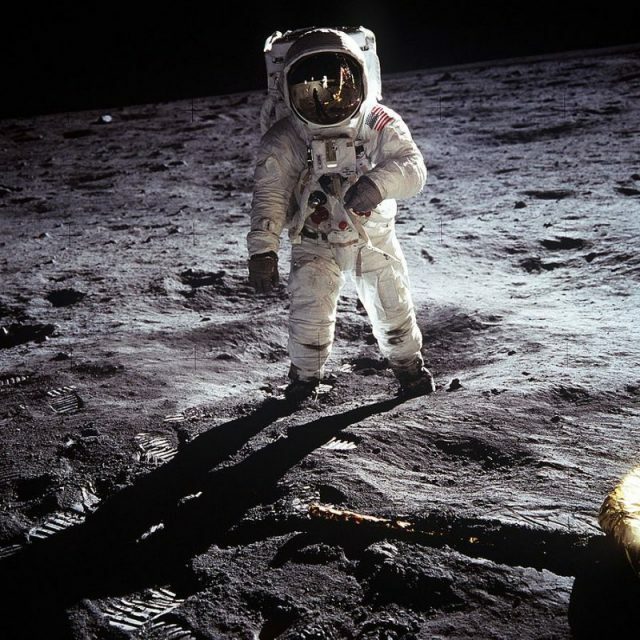 This was the mission that took Buzz Aldrin and Neil Armstrong to the moon. That same year, von Braun received the NASA Distinguished Service Medal, as did three other former Nazi rocket scientists recruited through Operation Paperclip. President Truman had officially approved the Nazi Scientist recruitment program in July 1945. It was then called Operation Overcast, later renamed Operation Paperclip, and its guidelines carried the caveat that the U.S. recruit no war criminals and no ardent Nazis. However, as the Soviet threat became more real, these directives would change. V-2 rockets were produced by slave labor, a secret that the scientists were careful to omit when negotiating their post-war lives. This detail would emerge later, but neither von Braun nor any of his science team was ever charged for any war crimes. In contrast, some of the targets of Operation Alsos were charged. Otto Ambros was one of them. Unlike von Braun, Ambros was a Nazi ideologue, initially labeled by intelligence services as unsuitable for recruitment for this reason. He was also directly involved in the most abhorrent crimes of Nazi Germany. He was the head of the weapons division of the chemical company, IG Farben. 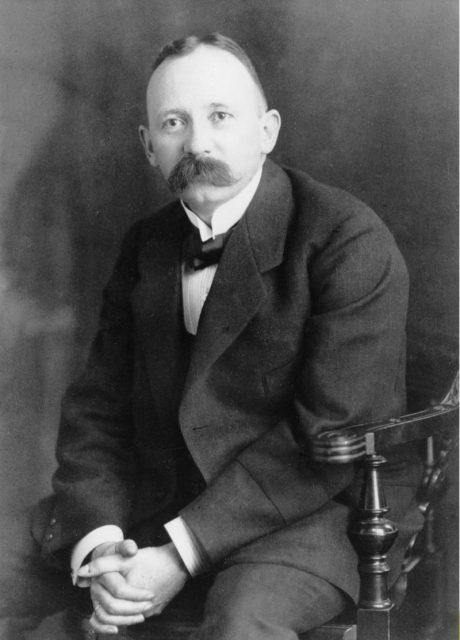 Ambros was also one of the co-discoverers of sarin gas, and he was Hitler’s favorite chemist. During the war, he cut a deal with the SS to move IG Farben’s industrial rubber plant to Auschwitz. The SS would then supply labor for the factory from the concentration camp. Ambros oversaw this plant as well as a secret chemical weapons facility. For this, Ambros was convicted of slavery and mass murder during the IG Farben Trial at Nuremberg. He was sentenced to eight years in prison, but he was released early in 1951, at which time Operation Paperclip had already targeted him for recruitment. He would later work for multiple European and U.S. chemical companies, as well as the U.S. Department of Energy. 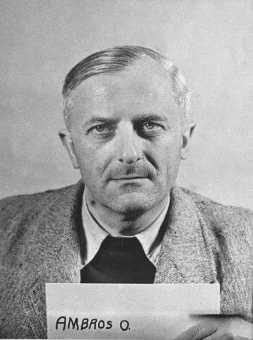 Fritz Hoffmann was another German chemist among the Operation Paperclip recruits. Unlike the other German scientists, he was documented as anti-Nazi during the war. He’d also earned a Ph.D. in philosophy. Ripe for recruitment, Hoffmann was sent to the American facility for chemical weapons development at the Edgewood Arsenal in Maryland. There he helped the U.S. military replicate sarin and tabun, a nerve agent similar to sarin also pioneered by Otto Ambros. In the 1950s, Hoffmann was recruited by the then-newly-formed C.I.A. to find new poisons that could be used for covert assassinations. This accounts for only a handful of Nazi scientists brought to the U.S. by Operation Paperclip. Motivated by the already-looming military and technological rivalry with the Soviet Union, the U.S. moved fast to seize what technology they could from the defeated Third Reich. 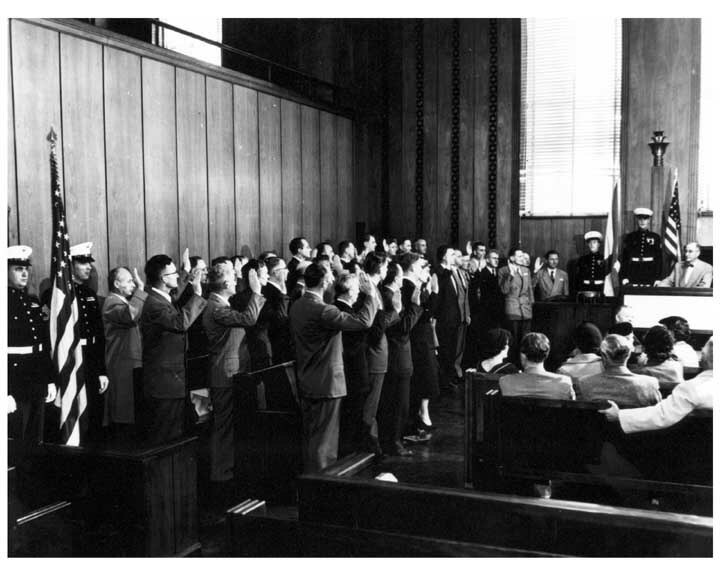 Thirty-nine of the German-born scientists at the U.S. Redstone Arsenal, along with the wives of two of the Operation Paperclip group, were sworn in as U.S. citizens at a 1954 naturalization ceremony. 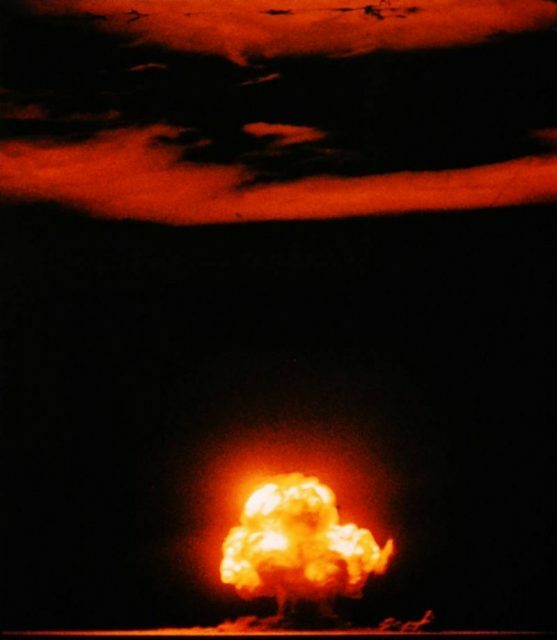 President Truman himself was hesitant and approved it as a necessary compromise to prepare against a new military threat. Though kept clandestine for decades, the legacies of Operation Paperclip are inextricable from the development of American technology in the 20th century. Without Nazis, there would have been no men on the moon.